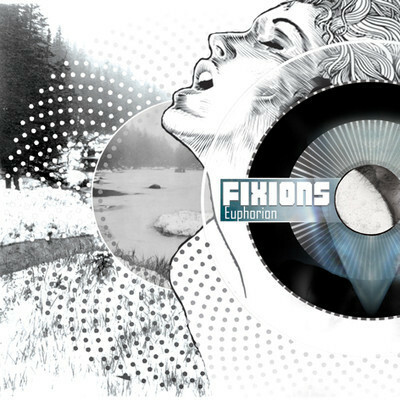 FIXIONS is an Electro project from Aix-en-Provence, France that have released their debut EP, entitled ‘Euphorion’ some months ago. This project, which is the brainchild of Slo (SMOHALLA), is more than a creative outlet, an additional way of expression it’s a small microcosm of its own, an abberation from the constant in search of an elation, of euphoria, although as uplifting as it can be the dark and atmospheric elements will always be a considerable and integral part of FIXIONS’ music. The EP begins with the title track, ‘Euphorion’ which is heavily influenced by the 80s electro scene, with a progressive build-up which is quickly imploding into the song’s synthesized main theme, a pulsing motif, which is definately one of the highlights of the whole album. The song goes through different phases with its synthesized, ‘playful’ sound, cycling in every position with various layers of synth and bass sequences that add a really nice groove to it. ‘Littis Tenthe’ is next and what we are dealing with, here is something completely different. The song’s mid-tempo is supplemented by a fundamental beat that follows the same pattern for most of the song’s length, waiting for the background synths, voices and sounds to lead the song into culmination, (same can be said for ‘Black Racer’ and ‘Uhler’ as well). Generally ‘Euphorion’ is comprised of a retro-ish, dystopian vibe with adequate doses of bass, a purely instrumental album consisting of minimal, recurrent beats tied along to exciting yet mysterious melodies, light and uncomplicated. Deeper into the album, we come upon ‘Spiral Arms’, a very airy and atmosperic track which explores a darker and enigmatic side of FIXIONS, a vibrant flashback of the past, illusory shades that crawl spiraling back and forth through the mind on a psytronic vessel. ’Minos’ is yet another piece full of ambience, as its name suggests this one incorporates many different layers of sounds, seemingly swirling around Deadalean mazes, an intricate combination of arrangements that are so tangled together yet as apparent as the slow piano pattern that ends the song and thus the album. ← Listen to every James Hetfield’s “Yeah”s ever!! !